Umbermaster Kitchens is a family run business in Broadstairs with over 30 years of experience specialising in bespoke kitchens, with individual choices. We use industry leading brands such as Miele, Siemens, Neff, Bora, Quooker, Silestone and Blanco. We proudly manufacture bespoke kitchens at our Broadstairs factory and by manufacturing all our own cabinets, we can offer you a huge range of possibilities and a massive amount of choice. Our fully co-ordinated installation service saves you valuable time, especially when it comes to the trickier jobs like fitting sinks, taps, worktops and appliances. Our installers are full-time professionals with high standards in workmanship who are committed to getting the job done as quickly and efficiently as is possible. 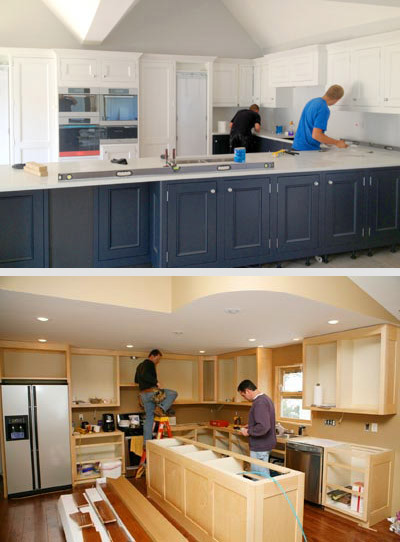 Therefore, you can feel confident that your kitchen will be installed to the very highest industry standards. We also welcome self installation, if preferred. Today's kitchen is more than just a place to prepare your family meals. It’s a gathering place where thoughts are shared and family and friends interact. A kitchen is an extension of you and your lifestyle. Does your existing kitchen appeal to your senses? Do you want to maximise its potential? If you do then good design is invaluable. One of our highly experienced designers will be happy to talk through all your options, either in store, via phone, or through a home visit. We can then construct a layout that accurately suits your requirements. We have two stunning showrooms for you to visit. Our main showroom in Broadstairs has various displays on two floors, together with our workshop for you to see how we craft the perfect kitchen for your lifestyle. We also have our beautiful showroom in Lenleys that has a further choice of displays that will inspire you to create not only your perfect kitchen but also home. Umbermaster can supply or install kitchens to suit all budgets. Some people would imagine that an independent kitchen company can’t always compete with the bigger companies but we are here to assure you that we definitely can, and we do. Please feel free to call us and arrange for a designer to make a no obligation home visit.